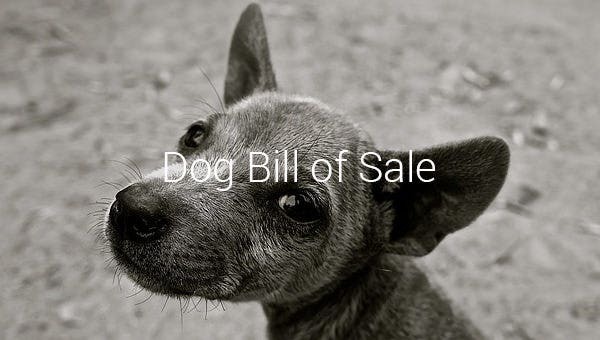 Dog Bill of Sale – 8+ Free Sample, Example, Format Download! Pets today have a different treatment and view regarding their care or adoption. Some sees them as a commodity that can bring happiness to others. Dogs is one of the common pets seen in every house, when having one in a pet shop, a bill of sale makes the purchase of a pet dog be valid and a owner be liable for the care of it. 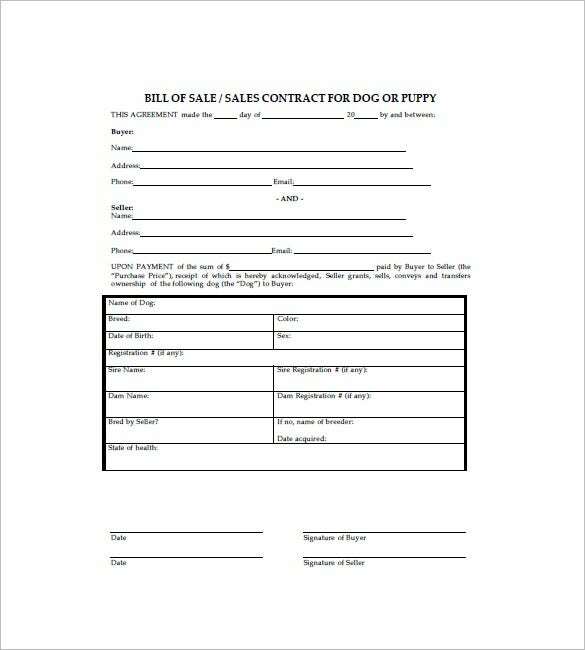 The horse bill of sale can be used in this matter when it comes in selling dogs as pets to customers. 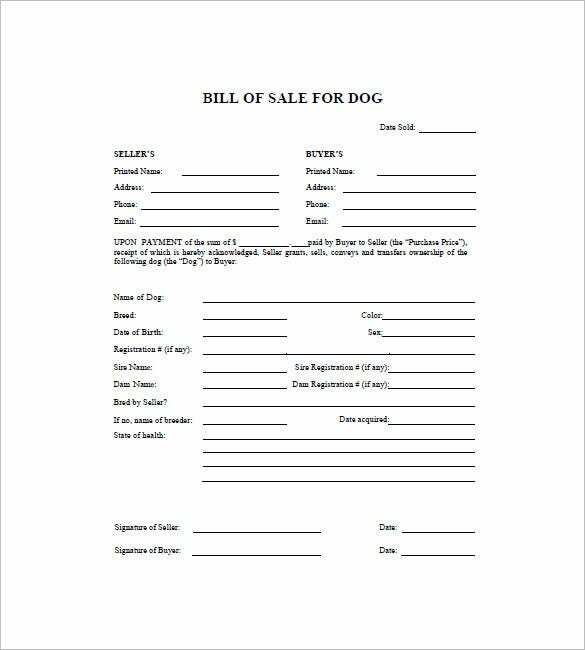 tiltonhaus.com | Sample Dog Bill of Sale Template is a kind of agreement of sale and purchase. It gives a detailed account of the puppy which is being sold or purchased. 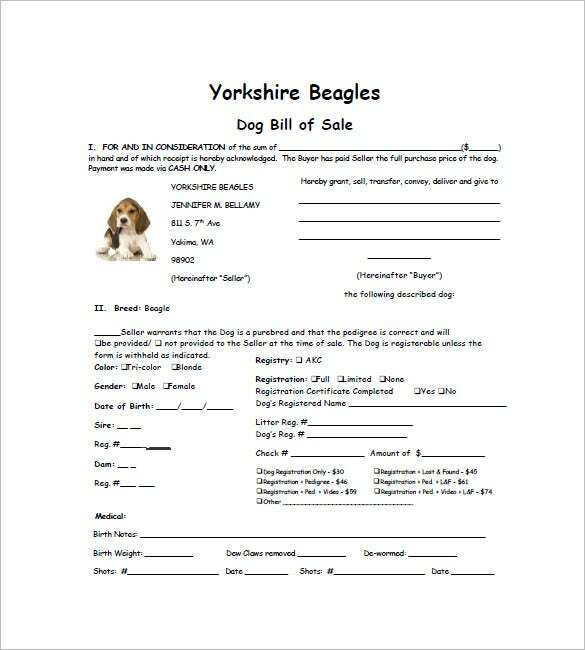 yorkshirebeagles.yolasite.com | Dog Bill of Sale Template Free Download is in a very cute format. It showcases the picture of a puppy to enhance the outlook of the bill. It provides a detailed account on the creature. 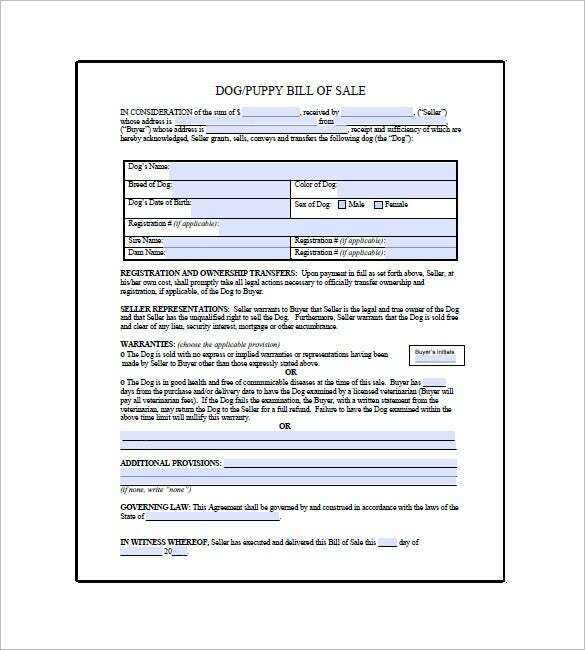 cornickmountain.com | Printable Dog Bill of Sale Template is a simple yet well organized sample where information of seller 1 and seller 2 are to be incorporated. The same goes for both the buyers. 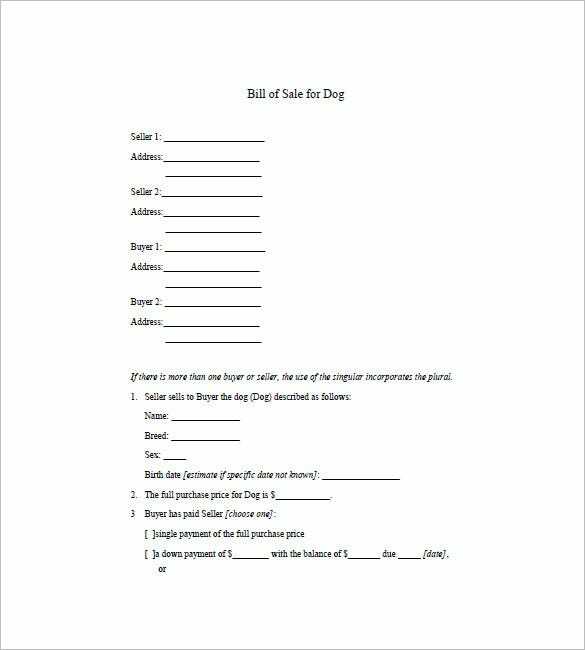 wikidownload.com | Free Dog Bill of Sale Template is a kind of bill or contract for a dog or puppy. It is an agreement which is made in between the buyer and seller. It provides a legal document for future. 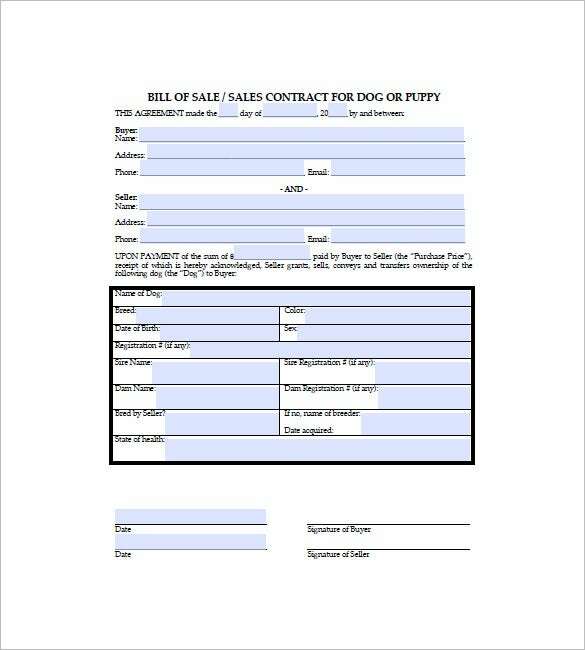 laidenlyfrenchbulldogs.com | Dog Bill of Sale Free Printable is a kind of example which comes in receipt format. The sample is given in a tabular box where information regarding buyer and seller are to be included. 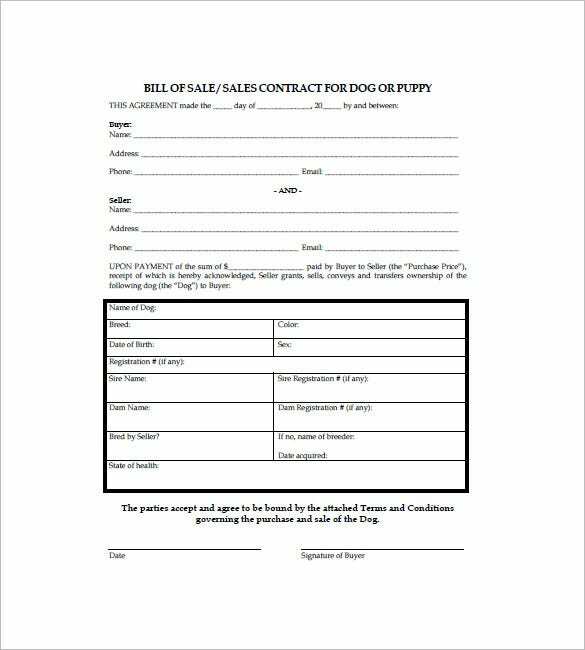 Puppy Bill of Sale Template is a simple and well organized certificate of purchase. The document is authorized and also provides the necessary details about the contract. You can look at the internet and download the selected format that can be used in the pet shop; you can make any modifications for its layout to make it customized per owner or pet store preference in order to have the bill of sale authentic. If you have any DMCA issues on this post, please contact us!